Airline staffing is especially important at Christmas. Delays are much more likely and passengers have strict deadlines by which they need to meet their friends or relatives during the holiday season. If things go wrong during this period, serious damage could be done to your airline’s reputation. Use this guide to find out what the warning signs are and how to effectively deploy your resources this Christmas. 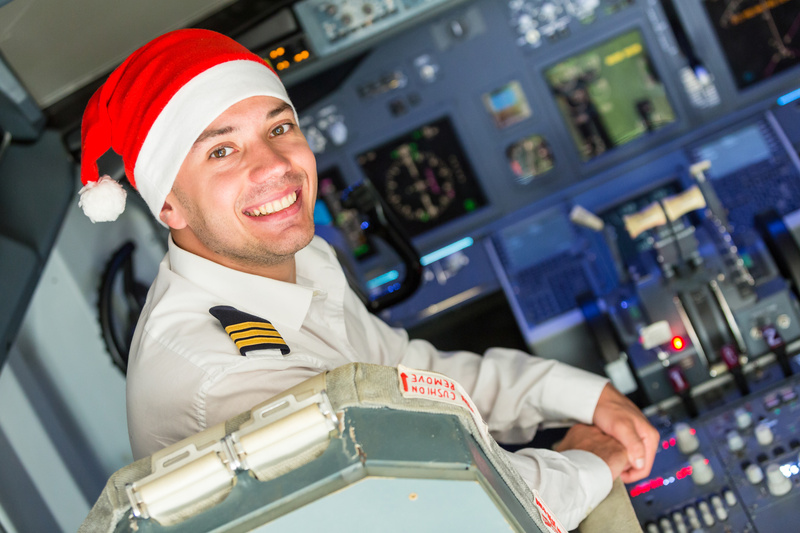 What makes airline staffing so important at Christmas? Well over 5 million people look set to fly in the week before Christmas alone. In the week before Christmas 2014, more than 1.5 million people passed through Heathrow Airport. With demand for air travel growing, passenger footfall looks set to be even higher in 2017. With such a high volume of human traffic, any mistakes you make (or issues you fail to react to) will be magnified in terms of effects and negative exposure. A high proportion of people travelling at Christmas will be visiting beloved family or friends (potentially for the only time that year), or looking to escape the madness of Christmas and New Year’s Eve. Customers now have many channels to vent their frustrations through; social media gives your customers the opportunity to bad-mouth your services in front of a global audience. If passengers do take to social media, , the ramifications could be massive for your airline. Customer complaints on social media have risen eight-fold since 2014, with most expecting an answer within an hour. A passenger complaint in 2014 was shared over 60,000 times, while a now-famous video-based airline complaint was shared over 13m times. But, social media isn’t all bad at a time of crisis. You can turn it into a crisis-management resource, using it to keep passengers and their anxious families up-to-date. If you’re able to manage this situation well, passengers might well publish complimentary posts that boost your airline’s reputation. When Southwest Airlines faced a major systems shutdown that grounded over 2,000 flights, the carrier successfully handled over 93,000 social media posts and was praised for its timeliness and transparency. Poor weather conditions cause delays during the festive season. Combined with increased passenger numbers – some of whom are likely to be nervous or angry – your airline faces a recipe for disaster. Adverse weather can evolve rapidly, posing a dynamic risk for airport staff, airside crew, pilots and ATCs to handle. It can cause components to break down, make the runway unsuitable for flying or reduce visibility to almost zero. Such weather removes at least some of the contingency you would have relied on otherwise. It becomes more difficult to move passengers around or out of the terminal, resulting in crowds that can cause further disruption. Passengers tend to be better behaved if they’re informed. Your staff will need to collate the information that will be presented to them over the airport loudspeaker. You will also need additional staff to be present at your departure gates, check-in desks and in the main terminal to handle ad hoc passenger queries and reassure them that they haven’t been forgotten about if delays become extended. Passengers on the tarmac must be given adequate food and water within two hours of a delay if they’re on the tarmac. At all times, you should aim to exceed airline regulations and passenger expectations when it comes to handing out refreshments during a delay. This tells them that — while the delay is out of your hands — you’re still doing everything possible to keep them happy. You may even want to go as far as providing blankets and pillows if the delay extends overnight. Your airline may be called on to get passengers on or off a plane quickly, or arrange alternative accommodation at short notice — tasks that require more staff than usual. Make sure you have additional staff on hand to adapt to a changing situation that’s beyond your control. Call on AeroProfessional to help you get your airline staffing optimised for the Christmas period.